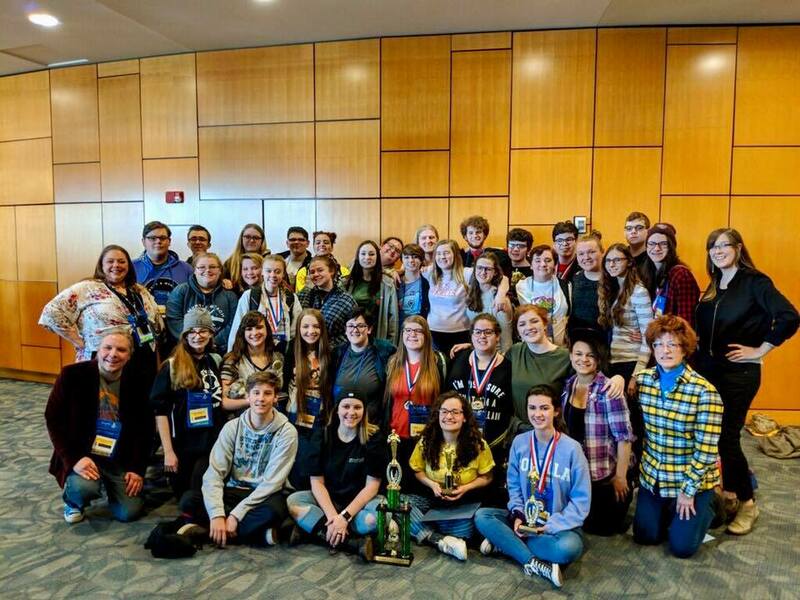 The Bridgeport High School Thespian Troupe brought home several awards from this past weekend's West Virginia Thespian Festival, held at West Virginia University. Accompanying students were Trina and David Byard, Jared and Albani St. Martin Brown, Rachel Griffith and Lydia Mong, as well as parents who served as chaperones. Erica Cottrill and Jordan Kennedy Rea - Top 5 Musical Duet. Overall Superior rating which allows advancement to the International Thespian Festival. Also received an Invitation to Arts Alive. Heather Bokey - 2nd place Costume construction. Overall Superior rating which allows advancement to the International Thespian Festival. Callia Byard - 2nd place Novice mask. Overall Superior rating which allows advancement to the International Thespian Festival.